UNITEE – New European Business Confederation, participated at the Eleventh Ministerial Conference (MC11), organized by the members of the World Trade Organization, held from 10th to 13th December 2017 in Buenos Aires, Argentina. The Conference was chaired by Ms. Susana Malcorra, Minister of Foreign Affairs of Argentina. The Vice-Chairs of the Conference are H.E. Dr Okechukwu Enelamah, Nigeria’s Minister of Industry, Trade and Investment, the Honourable David Parker, New Zealand’s Minister of Trade and Mr Edward Yau, Secretary for Commerce and Economic Development of Hong Kong, China. WTO members accepted Argentina’s offer to host MC11 at a General Council meeting on 3 October 2016, Argentina becoming the first South American country to host this event. The Ministerial Conference, which is attended by trade ministers and other senior officials from the organization’s 164 members, is the highest decision-making body of the WTO. Under the Marrakesh Agreement Establishing the WTO, the Ministerial Conference is to meet at least once every two years. The last Ministerial Conference took place in Nairobi, Kenya, in December 2015. UNITEE, among other relevant NGOs, actively participated in the Programme of Side Events. ‘’On behalf of the Argentine people, we would like to express our deepest gratitude to all WTO Members for giving us the honor of hosting the Eleventh WTO Ministerial Conference in Buenos Aires from 10 to 13 December 2017. In a constantly changing world, and in light of the new challenges posed by development, the next Conference will provide an opportunity to strengthen our commitment to a rules-based, open, non-discriminatory and equitable multilateral trading system, in accordance with the United Nations 2030 Agenda for Sustainable Development. Building on the outcomes of the Bali (2013) and Nairobi (2015) Conferences, we must strengthen the WTO’s role as the primary forum for multilateral negotiations. We need to find points of convergence among Members with different interests and levels of development, while paying particular attention to least developed countries, in order to double their share of world exports by 2020. Today, our economies are more interconnected than ever before. Global and regional value chains increase opportunities for creating more jobs and disseminating technology and ideas. 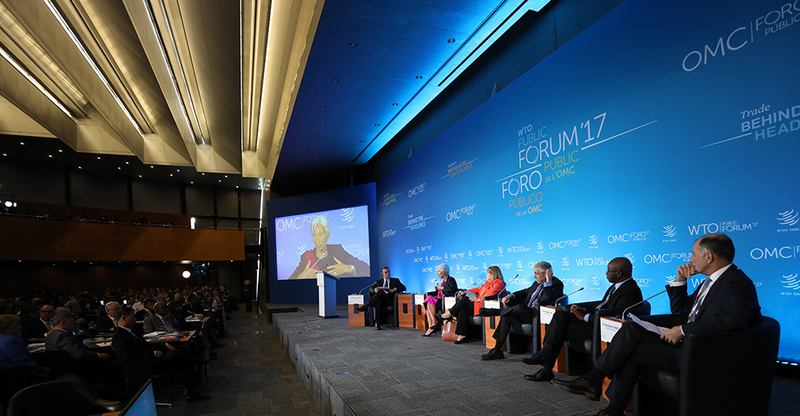 The challenge for the WTO is to establish a framework that provides certainty and ensures that these benefits reach all people, with improved opportunities and quality of work. To this end, we must place particular emphasis on micro, small and medium-sized enterprises, as they play a key role in economic growth and social inclusion. We live in a strongly interconnected world, with fewer borders but greater opportunities. In this context, the Eleventh Ministerial Conference must contribute to the growth of international trade as a factor for development and as a means of revitalizing the global economy”. For Argentina, this Conference is an excellent opportunity to develop a closer relationship with the world and to address sensitive issues on the global agenda, while making every effort to seek solutions.